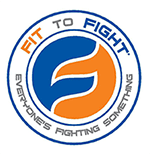 Fit to Fight® is an unconventional organization, an eccentric family, in a traditional and habitual industry. We are the neon orange Crayon, in a box of grays. In a world where "lineage" determines good from bad, and ranking takes precedence over practicality, we place a premium on what works now and strive for better, always. Our signature program, Defensive Options®, is an attentive and purposeful coalescence of Krav Maga, Muay Thai, wrestling, Brazilian jiu-jitsu, boxing, and athletic performance training, culminating in a self-protection program for those interested in living a better and safer life. From The Ground Up™ is a groundfighting program designed to tackle the omnipresent self-protection dilemma of ending up on the ground during an altercation. Designed with the citizen defender in mind, fireARMED was created with the purpose of providing an in-depth, comprehensive and holistic handgun training curriculum that could be executed inside of Fit to Fight® Affiliated Training Centers.